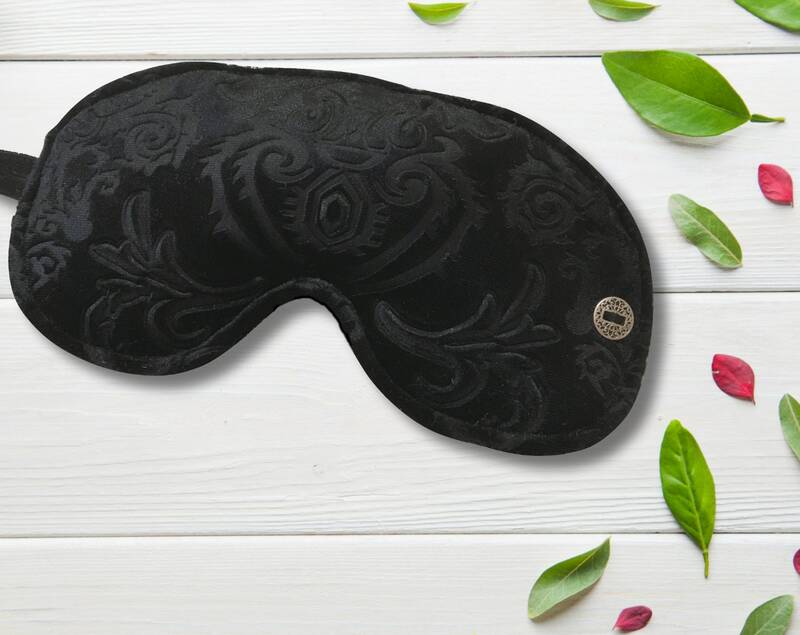 This luxurious and lightweight sleep mask is made of a super soft black velvet damask outer fabric and a soft satin face side fabric, just right for lights out! 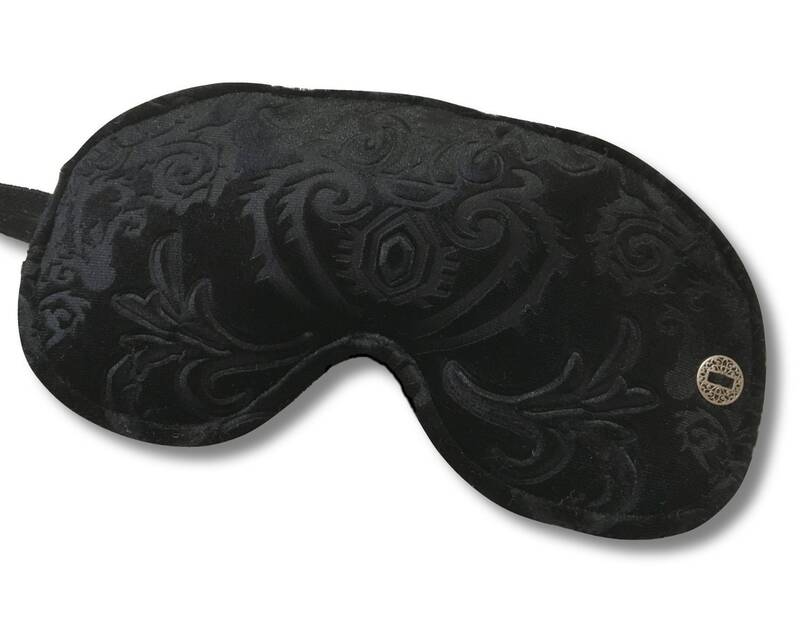 A layer of thick cotton batting between outer and face side fabrics adds some cushion while a black out fabric keeps you in the dark. An adjustable and soft non-snagging buttonhole elastic allows you to adjust the tension on your face. Elastic attaches to a button. Purchased as a gift for my wife and she loves it. The buttonhole elastic allows for the perfect fit, the materials are very nice, and the quality is great!